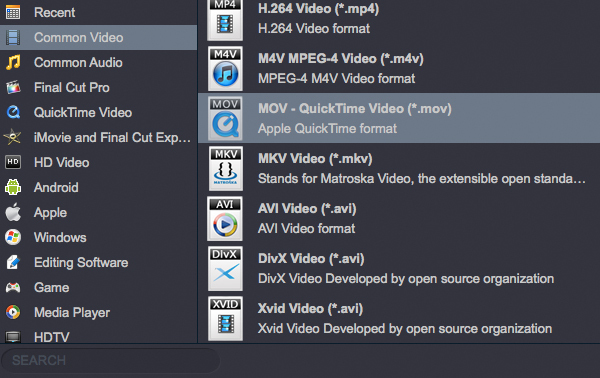 How to convert AVCHD files to MOV on Mac? What should we do for enjoying the AVCHD video in Quicktime or loading the AVCHD video on Mac for further editing? Converting AVCHD files to mov on Mac, yes, it’s the easiest yet right workaround. To get the work done, AVCHD Converter is highly recommended. It’s a professional yet decent Mac AVCHD to MOV Converter which can help you transcode AVCHD to mov with several simple steps. Just do some clicks on your mouse with your finger, you can easily convert AVCHD files to mov on Mac and then preview HD AVCHD video with QuickTime or import AVCHD video into FCP/iMovie for editing on Mac. Besides, it allows you to do some premiere editing work on Mac before transcoding including cropping, trimming, adding watermark, etc. The Mac AVCHD Converter must be your best choice when you need a Panasonic P2 AVCHD Converter or a Canon AVCHD Converter, you can do action with AVCHD files at anytime anywhere now! Just download it and follow below steps to convert AVCHD files to MOV on Mac now. Click “add video” button to import the P2 AVCHD or Canon AVCHD files. Click “add from folder” button to add AVCHD folder. Click format to choose HD Video > H.264 HD Video (*mov) profile in the drop-down menu. If you want to edit AVCHD file in FCP, suggest you choose Final Cut Pro > Apple ProRes 422(*mov). And for editing in iMovie/FCE, you can choose iMovie and Final Cut Express > Apple InterMediate Codec(AIC)(*mov). P.S. Besides transcoding AVCHD to ProRes MOV, converting AVCHD to AIC, Free AVCHD Converter for mac also support converting AVCHD file to various video formats like AVI, MP4, WMV, MKV and converting AVCHD to various devices like iPad, iPhone 4S, Samsung Galaxy Tab, Apple TV 3, etc. Click “convert” to start converting Panasonic/Canon AVCHD file MOV format on mac. 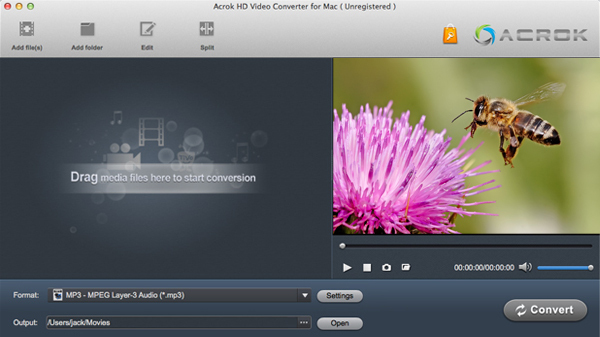 After conversion, you can watch your AVCHD file on Mac or editing in FCP/FCE/iMovie without problem. 2. If you choose to convert AVCHD file to Apple ProRes format, will be able to keep the multiple audio streams separate in output file. Then you can get the audio tracks like original.